While I've always had a lot of respect for those who have just one signature fragrance, I simply cannot relate. Anyone who knows me well (or is at least in eyeshot of my desk) is aware of my perfume-hoarding habit. I can't even rule out the idea of eventually becoming a perfumer one day—I'm that fascinated by the magic of scent. 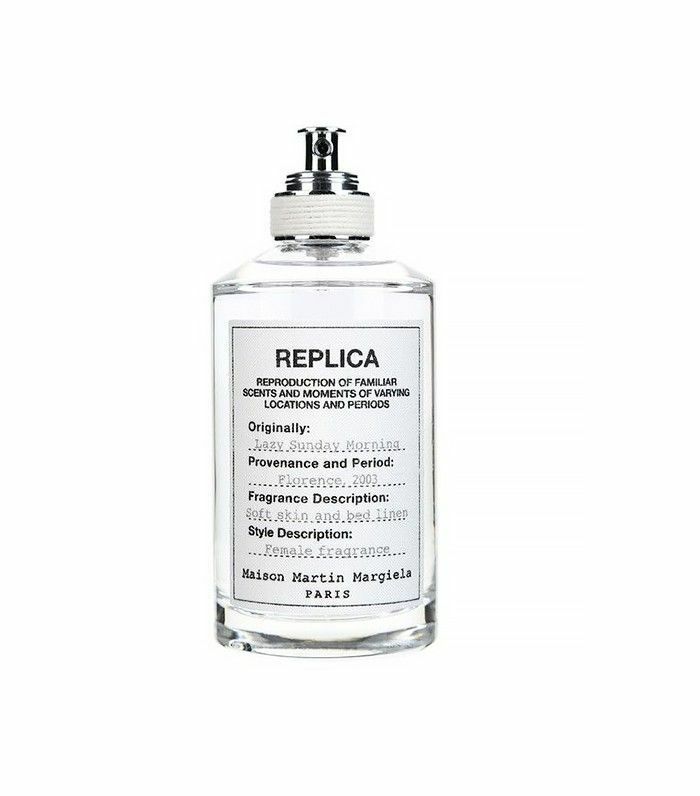 And I love having countless bottles on hand, because I know the impact sniffing different fragrance notes can have on my mood. This isn't just me justifying my borderline-embarrassing collection—it's science. Aromatherapy is powerful stuff, and while we tend to associate it with diffusers, essential oils, and synth-y spa music, why not categorize regular perfumes in this way? If a lavender pillow spray can make me pass out in five minutes flat, why can't a perfume that features lavender as a main component? With this in mind, we rounded up 12 gorgeous fragrances that happen to tout notes associated with stress relief and relaxation, as backed by research. Keep reading to rethink your own perfume collection. Lavender is probably the scent that's most associated with relaxation, and for good reason: Studies show that it helps improve sleep quality, lowers blood pressure, and reduces stress all around. It's the main note in this heady Diptyque fragrance, contrasted by spicier notes of coriander, cinnamon, and nutmeg—all of which have been shown to improve memory and brain activity, making this scent the ultimate deskside accessory. 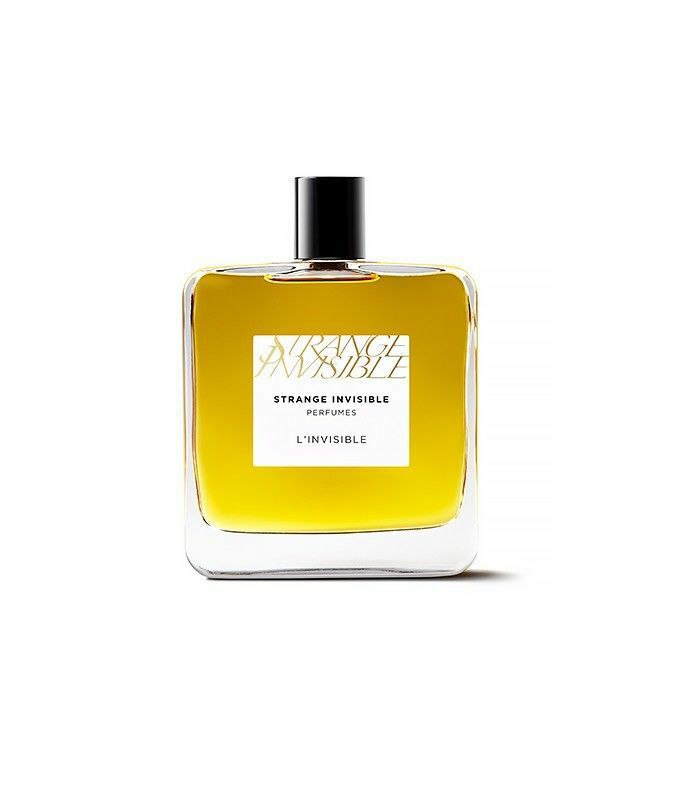 I actually purposefully spritz this fragrance on in the morning when I know that a chaotic day lies ahead—it's the smoothest sandalwood scent I've ever tried, and just getting wafts of it throughout the day instantly blisses me out. (And when I get home, I light the candle version.) That starring sandalwood note alone is known to curb anxiety, but so do the accenting scents of cedar and earthy vetiver. Cinnamon and nutmeg add the slightest hint of spice, and it's all grounded by an amber dry-down. It's all in the name: This is basically a scent photograph of a weekend morning in bed, and it's comforting and delicious. Light florals like lily of the valley, iris, orange blossom, and rose (which has been shown to decrease blood pressure and boost happiness) are complimented by a wash of pear and grounding notes of patchouli, amber, and musk. It's subtle but lovely, like sunlit skin and linen sheets. Everyone has a token "happy place," and one of mine happens to be the rolling hills of Southern France, where I spent a blissful summer as a teenager. Aside from the fond memories, the scent-association makes perfect sense: Provencal herbs of lavender, basil, fennel, rosemary and thyme are all associated with stress and pain relief. 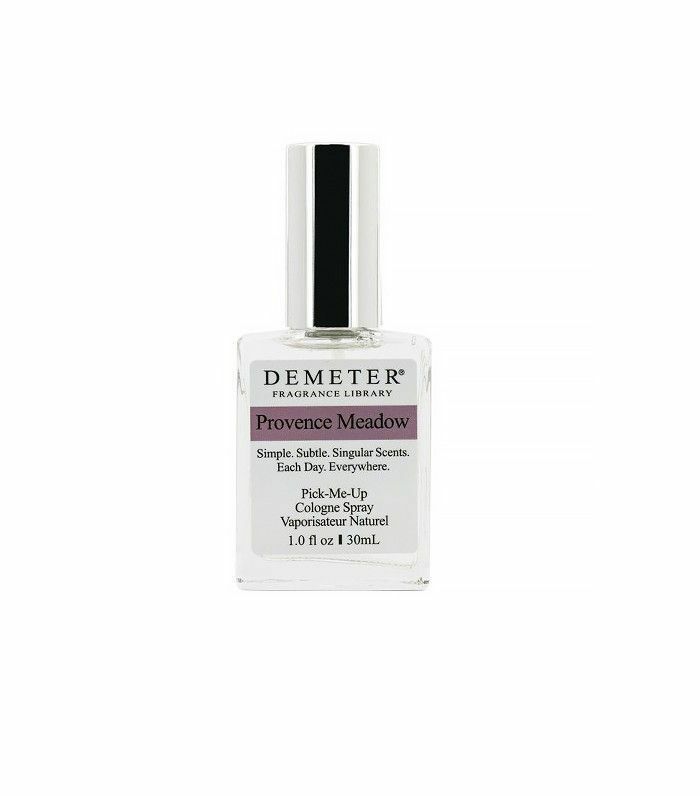 This naturally occurring blend is the inspiration behind this soothing scent, which is less literal than most of Demeter's scents but soft, sweet, and lovely nonetheless. Imagine inhaling some fresh forest air, and you'll get a pretty good idea of this fragrance, which is the perfect blend of relaxing and invigorating: Notes of lavender, vetiver, basil, and oakmoss all wick away anxiety, while rosemary, refreshing juniper, and citrus amplify focus and memory. Evoking the serene coast of northern New England, this scent features marine, seawater notes as well as calming notes of Bulgarian rose, myrhh, and clary sage. The ancient healing school of ayurveda is ultimately about finding balance—and it places a lot of emphasis on scent as a mechanism to get there. This is the M.O. behind Ayurveda Apothecary, a Los Angeles–based brand whose mission is to craft beautiful scents that offer mental benefits, too. 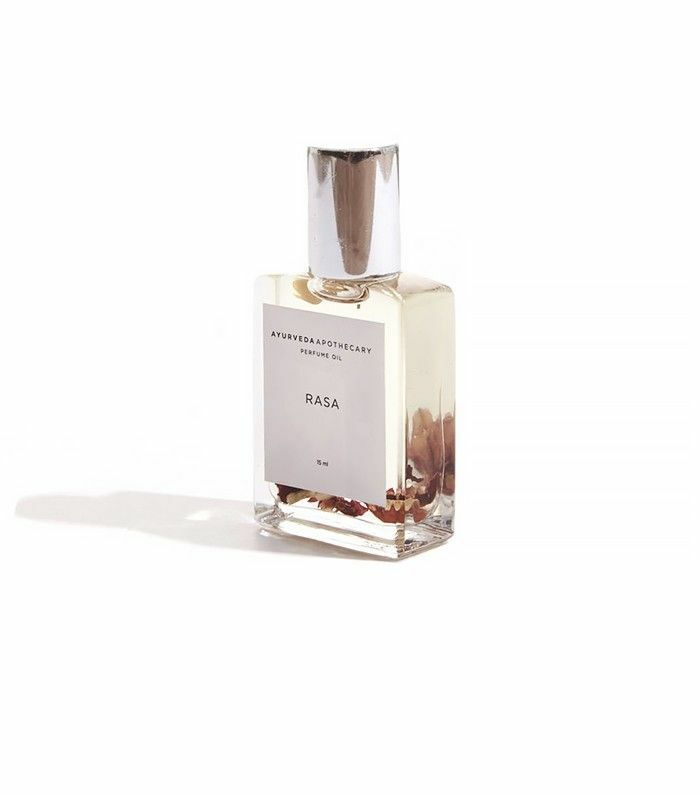 Case in point: Rasa, a grounding, aromatherapeutic cocktail of patchouli, holy basil, jasmine, sandalwood, clary sage, rose, and mandarin orange. A fragrant citrus fruit (which you might be familiar with if you're a fan of Earl Grey tea), bergamot has been shown to curb cortisol (aka stress hormone) levels, reduce high heart rates associated with anxiety, and improve mood overall. And it's the key player in this fresh and sunny scent from Atelier Cologne, which also features jasmine, lavender, oakmoss, amber, and vetiver. 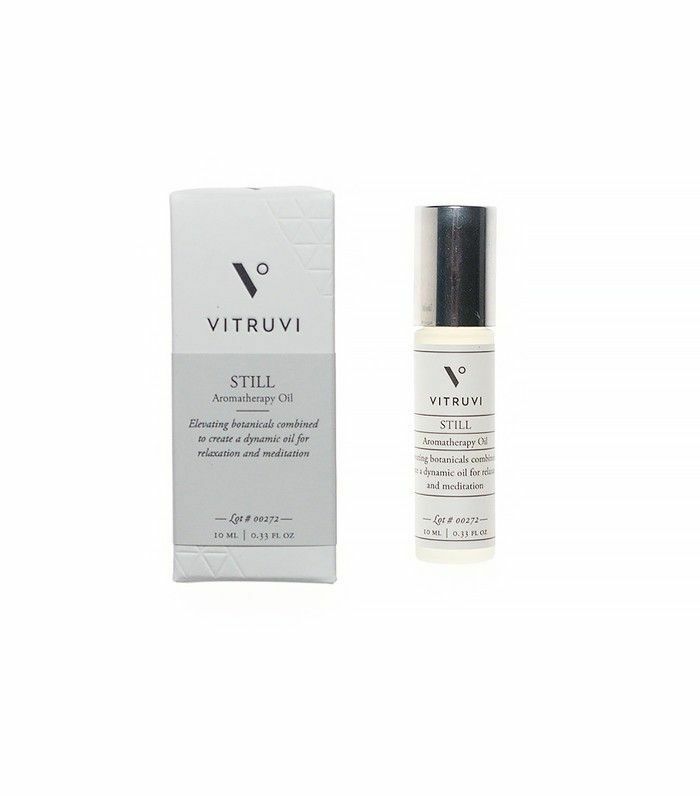 Concocted to enhance the skin's natural scent, this light and feminine perfume is big on ylang-ylang and vanilla—both great for calming the mind. Rose, jasmine, amber, moss, and lemon round out the blend. 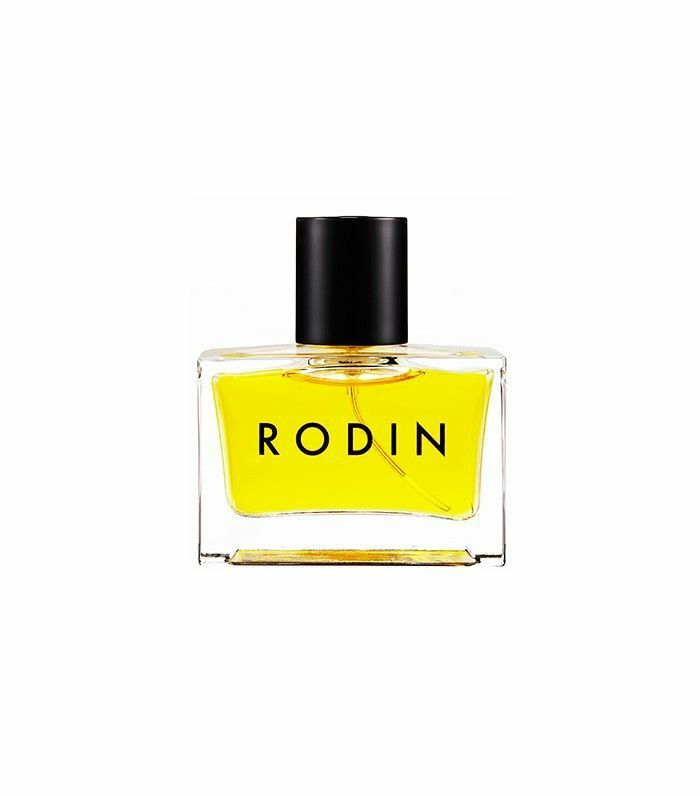 Part of a lineup of mood-enhancing aromatherapy oils, Still does exactly what it advertises, thanks to calming components of vetiver, clary sage, rose, and geranium. 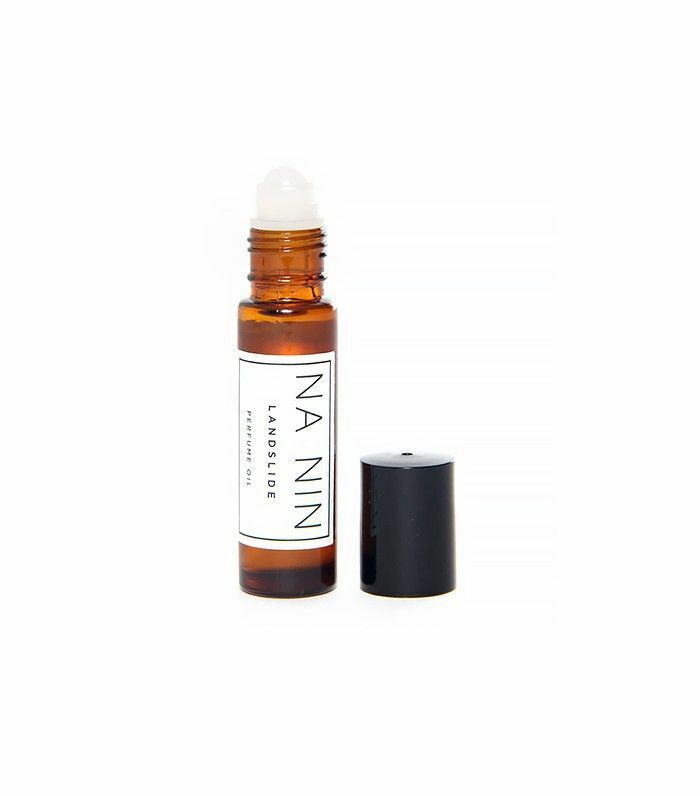 Dab this on your wrists before your next meditation session. Do you have a favorite scent for relaxing? Tell us about it in the comments below!